On 17 August 2018, Northrop Grumman T-38C Talon 68-8206 of the USAF 71st Flying Training Wing, crashed in a field approximately 62 miles west of its base at Vance AFB, Oklahoma. While flying at approximately 1,000-1,500 feet above the ground and looking over his left wing at his wingman, the [pilot of the T-38C] heard a loud noise on the right side of the aircraft. The pilot, an instructor and the sole occupant, then heard an audible fire warning, saw the right (number 2)engine fire light and detected indications of right-hand flight control hydraulic and right generator failures. While initiating a climb away from the low-level route, the [pilot] experienced a degradation in aircraft controllability and his wingman reported seeing a visible fire…. The [pilot] successfully ejected from the aircraft, sustaining minor injuries. The aircraft was approximately 3,000 feet AGL, 195 knots, 10 degrees nose low, and with a descent rate of 3,500 feet per minute [with] approximately 60 degrees of right bank at the time of ejection. The T-38C, valued at $11mn, was destroyed. 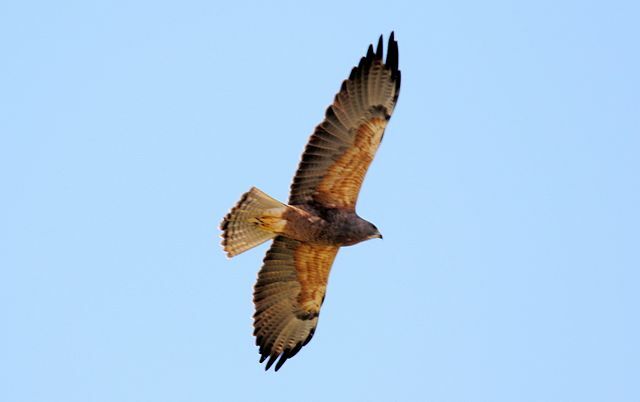 The investigation found the aircraft had ingested a Swainson’s Hawk, typically 0.9 kg (32 oz), into the number 2 engine. The bird was identified by experts at the Smithsonian Institute. Swedish Military NOE Helicopter Bird Strike: During a low-level night two-ship training flight a Swedish Armed Forces Agusta 109LUH collided with a large bird. Safety Lessons from a Fatal Helicopter Bird Strike: A fatal accident occurred on 4 Jan 2009 involving Sikorsky S-76C++ N748P of PHI that highlighted a range safety lessons. We also discuss current activity on enhancing bird strike requirements. Power of Prediction: Foresight and Flocking Birds looks at how a double engine loss due to striking Canada Geese had been predicted 8 years before the US Airways Flight 1549 ditching in the Hudson (which was just days after the Louisiana helicopter accident). About 8% US military of all Class A, B and C aviation mishaps from fiscal 2011 through 2017 resulted from wildlife strikes, according to data obtained by Military Times.